飞利浦的 Philips Sonicare Healthy White Rechargeable Electric Toothbrush 是在美国性价比最好的一款电动牙刷. 其他比这个便宜的型号就不太好用了. 而比这个贵的就是在这款基础上多些功能和配件, 所以也不一定就好到哪儿去. 根据预算多少, 也可以看看 flexcare 和 diamond 系列. Amazon网页下面有个比较各款功能的表格可以参考. 比如这个产品里面的介绍就附带了比较的图: Philips Sonicare HX9332/05 DiamondClean. 不知道你们家的娃们都有没有开始使用电动牙刷， 真心的推荐这个小孩的电动牙刷， 好使又管用的。 Amazon 现在这个 #1 Best-Seller Philips Sonicare Rechargeable Electric Toothbrush for Kids for only $29.95 when you clip the $10 coupon (located right under the price). 或者 Target.com也有同样的deal， this same Electric Toothbrush for only $29.99 after applying the $10 coupon. And shipping is FREE! 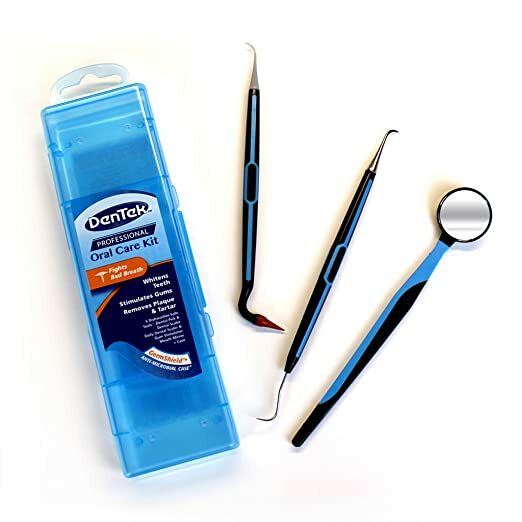 Amazon.com now this Dentek Professional Oral Care Kit 牙齿的清洁工具套件，降价 for only $3.49 shipped when you select for Subscribe & Save. This kit contains five dishwasher-safe dental tools to remove food and plaque including a stainless steel pick and scaler for weekly use and a plastic pick for daily use. It also comes with a gum stimulator and mirror so you can inspect and maneuver hard-to-see areas. 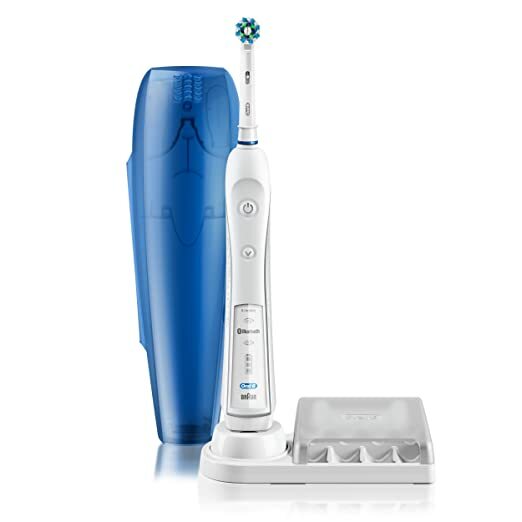 Amazon.com now they are offering up this Oral-B Pro 1000 Power Rechargeable Toothbrush in black or white for only $29.97 shipped when you clip the $10 off coupon located below the price (regularly $69.99). This toothbrush helps to remove 300% more plaque along the gum line compared to a traditional non-powered manual brush – it oscillates, rotates and pulsates to break up and remove plaque easily and features a sensor that can tell if you are brushing too hard. This highly-rated set removes plaque and debris deep between teeth and below the gumline where brushing and traditional flossing can’t reach. It has a high-volume reservoir with 90+ seconds of water capacity, 5-tips for flossing, and sonic toothbrush technology with 25% faster bristle speed than other leading sonic toothbrushes. Amazon now get this highly rated Philips Sonicare for Kids Bluetooth Connected Rechargeable Electric Toothbrush for just $29.95 shipped (regularly $34.95) after you clip the $5 off coupon. This Philips Sonicare Kids Rechargeable Electric Toothbrush comes with 8 fun stickers so kiddos can customize their toothbrush. 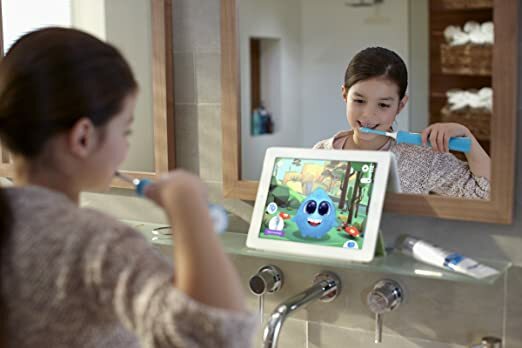 It also features a timer to make sure kids are brushing for the recommended 2 minutes, and a free app with fun rewards to get kids excited about brushing. Amazon now is offering up a clippable coupon to save $10 on select Philips Sonicare 2 Series, 3 Series, and 5 Series HealthyWhite Toothbrushes! This Philips Sonicare 2 Series Rechargeable Toothbrush in black, white/blue, coral, guacamole, or steel blue for just $29.95 shipped (regularly $39.95) after you clip the $10 coupon. 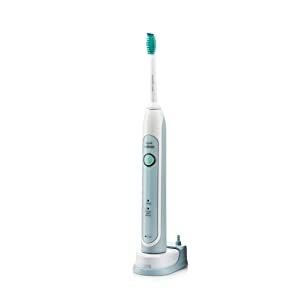 Amazon now they are offering up a $10 Philips Sonicare Toothbrushes coupon, available on participating items. 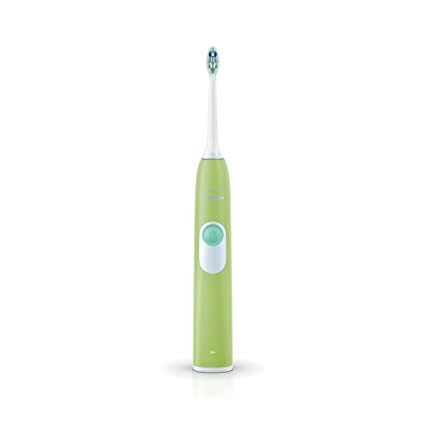 Now this Philips Sonicare Essence+ Rechargeable Electric Toothbrush for just $24.95 (regularly $39.99) after you clip the $10 off coupon! 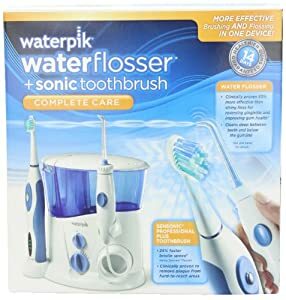 For a limited time only, BestBuy.com now get this highly rated Waterpik Ultra Water Flosser in Black or White for just $34.99 shipped (regularly $59.99) – no promo code needed! Even better, there is also a $5 mail-in rebate available on these models which makes your final cost just $29.99 shipped! 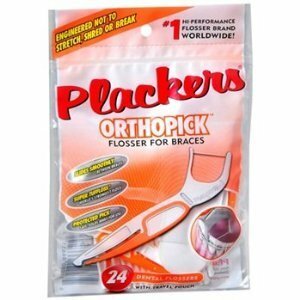 These flossers feature 10 pressure settings and 6 tips that allow you to clean those hard-to-reach areas in your mouth. Plus, the high-volume water reservoir means less refilling for you! Amazon now you can buy this highly rated Philips Sonicare 2 Series Plaque Control Sonic Electric Rechargeable Toothbrush for just $19.95 shipped (regularly $69.99) after you clip the $10 off coupon! Amazon now you can get this Philips Sonicare Essence Sonic Electric Rechargeable Toothbrush in white or pink for just $11.95 (regularly $49.99) after you clip the $13 off coupon! Amazon is offering up this Philips Sonicare 2 Series Plaque Control Sonic Electric Rechargeable Toothbrush for $29 after you clip the $5 off coupon (regularly $69.99). 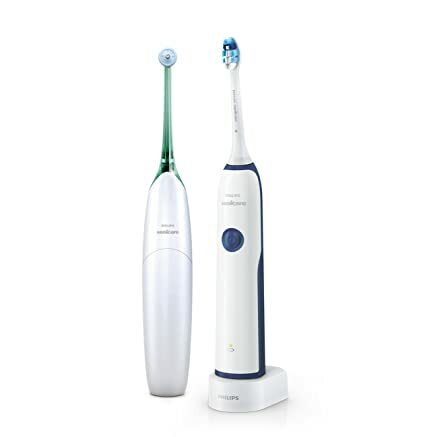 Today, February 12 only, on Amazon.com you can now buy this Philips Sonicare Essence+ Gum Health AND Airfloss Rechargeable Electric Flosser Bundle Value Pack for only $47.99 shipped (regularly $79.99). The Essence+ helps reduce the amount of plaque on your teeth and gives you healthier gums in as little as two weeks. The rechargeable electric flosser is easy to use and provides a deeper clean between teeth. 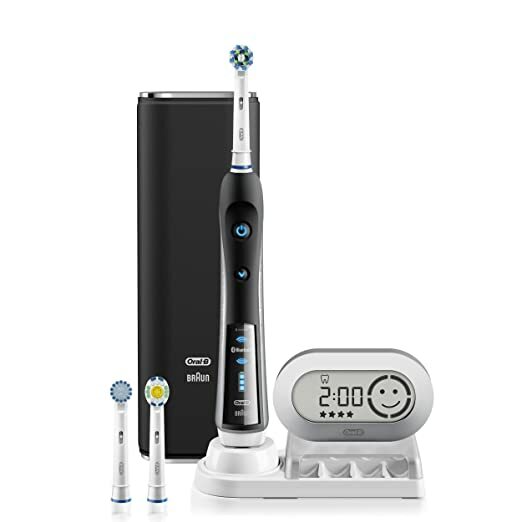 Amazon.com 现在 this Oral-B Pro 5000 SmartSeries Power Rechargeable Electric Toothbrush with Bluetooth Connectivity 降价外加coupon后， for just $84.99 shipped (regularly $159.99) after you clip the $15 coupon! The bluetooth communication between your brush and smartphone provides real-time feedback on brushing habits! 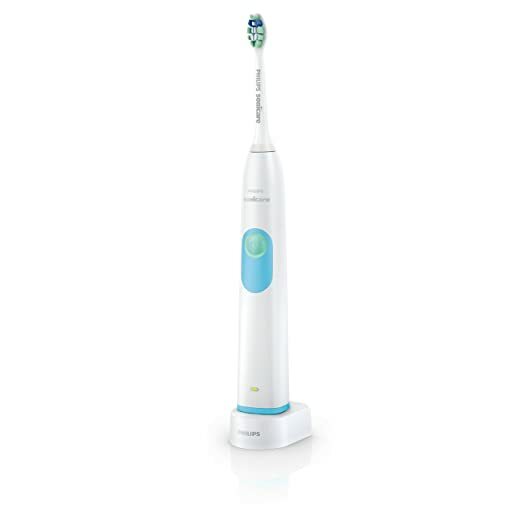 On Walmart.com you can now buy this Philips Sonicare ProtectiveClean Rechargeable Electric Toothbrush with Pressure Sensor for just $39.95 shipped (regularly $59.97). 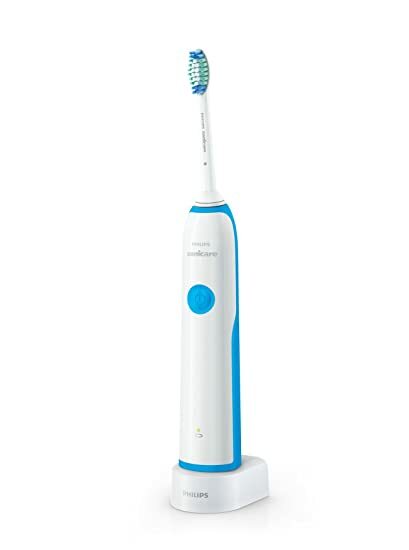 Even better, through July 1st, purchase this electric toothbrush on Walmart.com and submit for a $12 Mail-in Rebate which makes for a final cost of just $27.95 shipped! 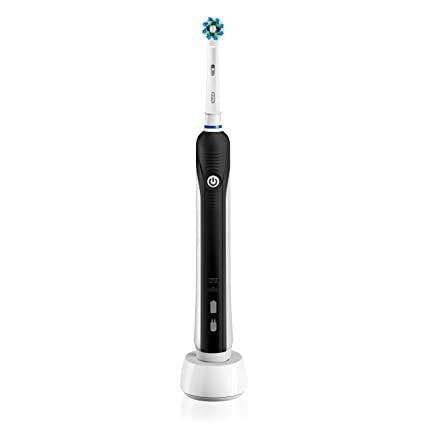 For a limited time, on Walmart.com where you can find this Oral-B 7000 Electric Toothbrush with two FREE Bonus Replacement Heads on sale for only $114.94 (regularly $234.94). That’s over 50% off! Even sweeter, when you purchase by June 30th, you can submit for a mail in rebate to get $25 cash back, bringing the final price to $89.94 shipped.